Post-screening discussion with co-directors Jessica Dimmock and Zackary Canepari, film subject and former Flint police officer Brian Willingham, and Bronx Defender attorney Shakeer Rahman. * We will be screening episodes 3 and 4. We recommend audience members watch episodes 1 and 2 in advance here. With unprecedented access, Flint Town is an intimate look inside a struggling police department that follows an ensemble cast of officers as they grapple with the challenges of policing a broken city while nationally, tensions between the police and community are more fragile than ever. Through very candid, and often unheard voices, both black and white police officers confront notions of race, implicit bias, and use of force in policing a city like Flint. Flint is one of the most relevant cities in America. It’s also one of the poorest and most violent. But it wasn’t always this way. Flint used to be the poster city for middle-class America. In the 1970’s, when General Motors employed most of the city, Flint had the highest median income in the country. Today, it has the lowest. Schools have shut down, thousands of homes are abandoned and those that remain occupied have little to no value. People are desperate. As a result, crime and murder rates continue to soar. And now, with the water crisis, Flint has become the focal point for Americans who have been left behind in this new global economy. In the middle of this situation is the Flint Police Department. Despite the need for adequate resources to deal with the high crime rates in Flint, the FPD has long been one of the most understaffed police departments in America. Over the last ten years, they’ve seen their numbers go from 300 officers to less than 100. They have 8 officers on patrol at any given time. For a city of 100,000 people, that’s ¼ the national average. Now, with all that’s going on in Flint, the water crisis, a new mayor, a new police chief and rumors of civil unrest, the Flint Police are trying to keep the city and themselves from imploding. BRIAN WILLINGHAM was born and raised in Flint Michigan during the civil rights era. He served with the US Army in Germany during the Revolutions of 1989. After that, Willingham was a member of the Flint Police Department for 20 years before retiring. He received the Volunteer Service Award from President George W. Bush in 2007. He recently published his first book, Soul of A Black Cop. 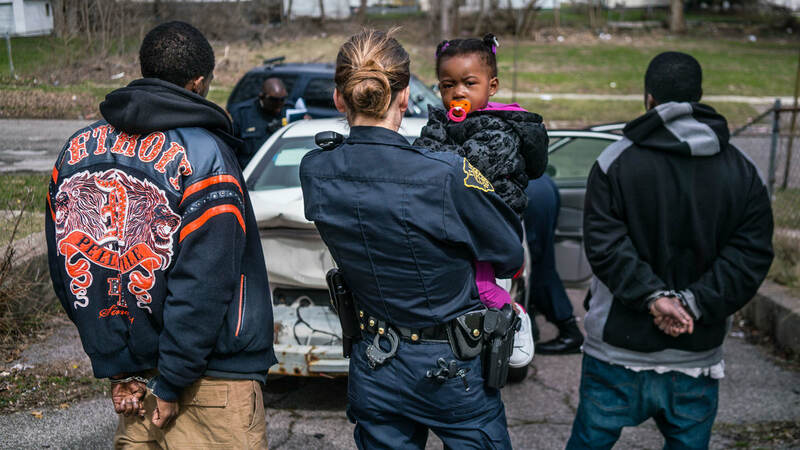 It is a day-to-day account of life as a patrolman in Flint's black community. Pulitzer prize-winning author Leon F. Litwack wrote,"[Soul of A Black Cop] is a scream from the bottom...a compelling and often unnerving documentary portrait of an urban war zone in which people endure lives of quiet despair..unique, poignant for it's humanity." SHAKEER RAHMAN is an attorney in the Impact Litigation Practice at The Bronx Defenders, where his work includes helping Bronx residents confront systemic injustices in how they are policed. Shakeer has written about policing in the Harvard Law Review, the New York Times, Al Jazeera America, Dissent Magazine, and the London Review of Books blog.